Ever wanted to add details about an event sponsor to each event? How about adding a custom downloads or course curriculum section on the thank you page? Or better yet, access to training videos? Look no further! Using the Advanced Custom Fields plugin for WordPress the event presentation and content delivery possibilities are endless. Over 20 Custom Field Types! 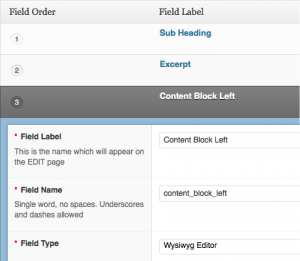 Fully customize WordPress edit screens with powerful custom fields. Boasting a professional interface and a powerful API, it’s a must have for any web developer. The Advanced Custom Fields (ACF) plugin allows you to take full control of your edit screens & custom field data. With over 20 field types (free, premium and user submitted) to choose from, custom data management couldn’t be easier, or look any better! Once ACF is installed, simply create a field group, add your fields and define the location rules. The custom fields you create will appear in the EE4 event editor and are ready to accept custom data. 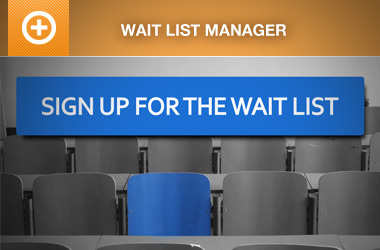 Fields that are populated with data can be displayed throughout your event and registration pages. 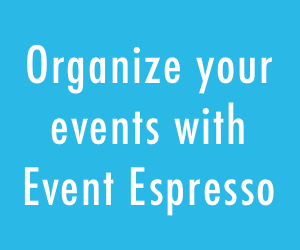 ACF will allow you to add just about any type of custom content to your Event Espresso 4 registration pages. 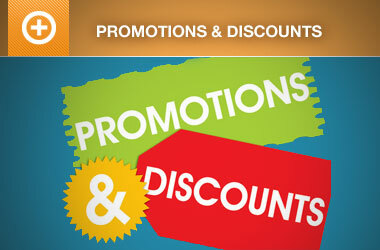 Such as event sponsors, course curriculum, downloads, video tutorials, and much more. The possibilities are endless! Itching to get started, but don’t know how? Don’t worry, we have you covered! I have created a couple of examples to get you going, and will add a few more as time goes on. Simply follow along with the tutorials below, and I will show you how to add a course curriculum and/or event sponsor section to your registration pages. This tutorial covers using the ACF plugin and the EE4 “Thank You” Page Actions & Filters to create a course curriculum/downloads section that will be displayed on the EE4 “Thank You” page. So once someone registers for a class/event, the curriculum/downloads section will be displayed and allow registrants to start downloading files immediately. This tutorial covers using the ACF plugin and the EE4 Single Page Checkout (SPCO) Actions & Filters to create a sponsor details section that appears throughout the registration process. Will using this plug-in allow us to create additional registration form fields on a per event basis? We’re trying to figure out a way to create special registration form questions on a per-event basis. It turns out that Event Espresso 4 lets you add registration form fields on a per-event basis out of the box, no additional plugins or coding is necessary. Is there a way I could use Advanced Custom Fields to forward a user to another page or website depending upon how they answered a custom question that I added to the registration form? You might be able to custom code something that does that.